View FOB or CIF prices of all cars in stock list. More details about the cars available for registered users. Reserve cars upto 3 days. 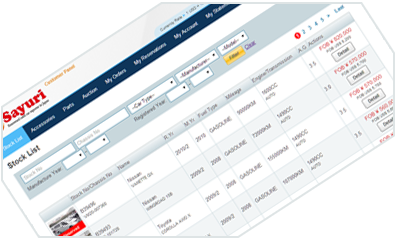 Track your orders and shipments. View your account and payments summary. Download car images and auction sheets. Download incoices,export certificates,B/L and other documents. Bid in any Japanese used car auctions.